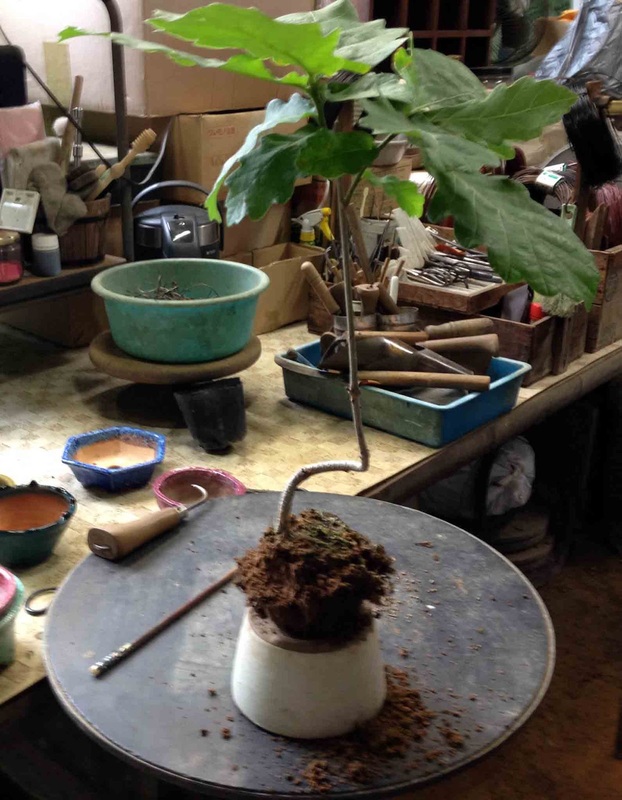 For Your Small Japanese Garden by YUKIMONO: Which pot will look fantastic with your tree? 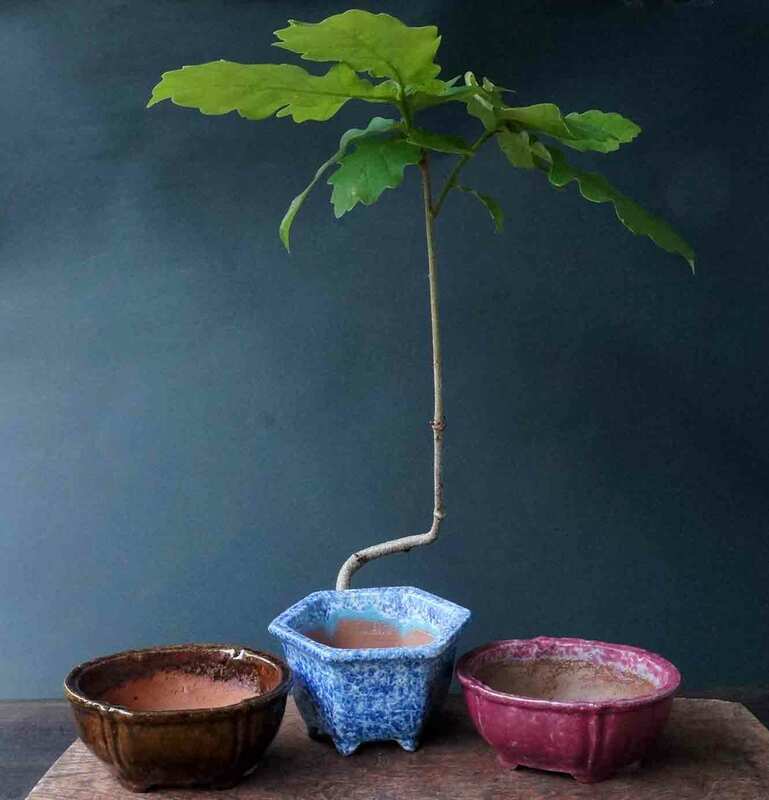 Thinking about the combinations between plants and bonsai pot brings me great happiness. But I know it's not easy. My bonsai Sensei (master) says that there are three points you should make much of when you do it. 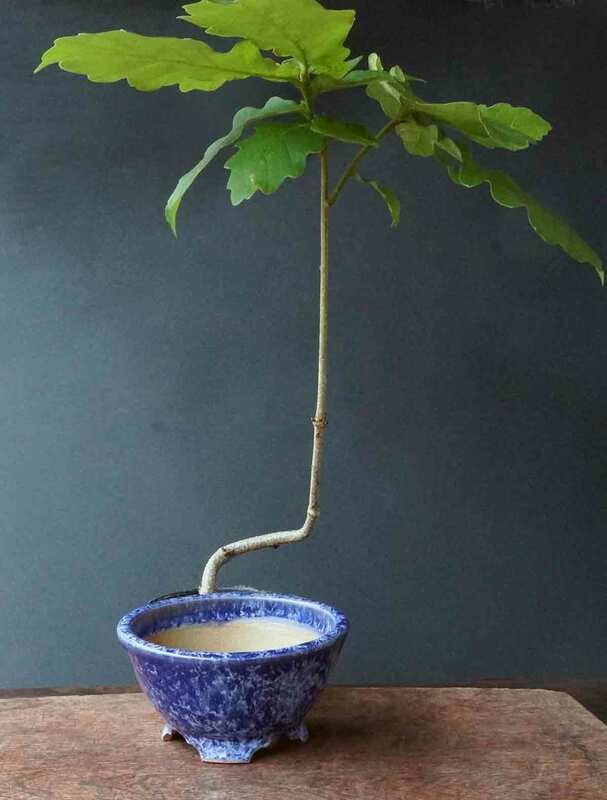 First, it's harmony with the pot and the plant. 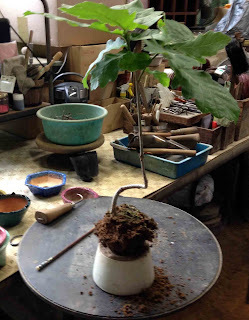 And he often says "Did you try to see anywhere beautiful scenery with the plant and the pot?" 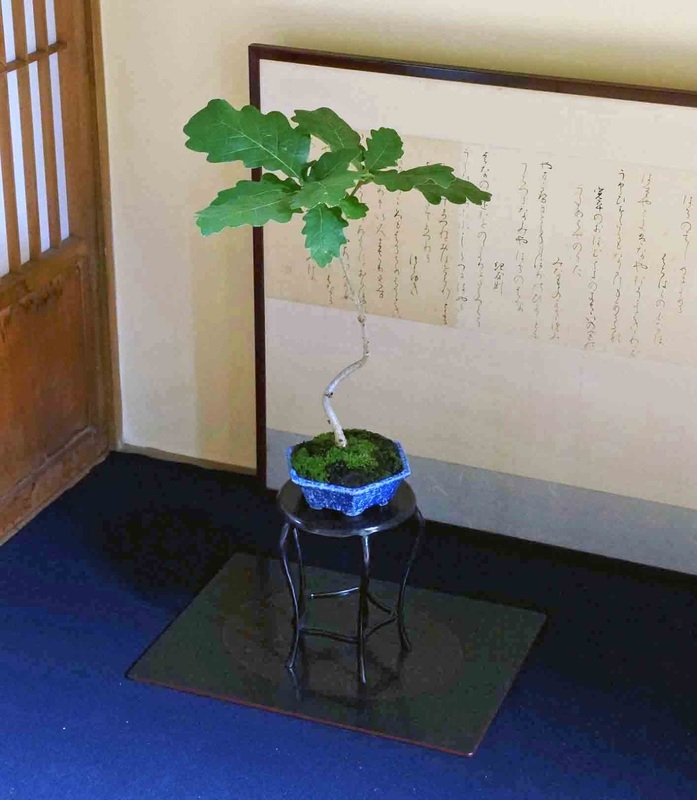 As you may know, a bonsai is a small-scale replica, so I think my sensei words mean that you should see or feel any view in the pot. 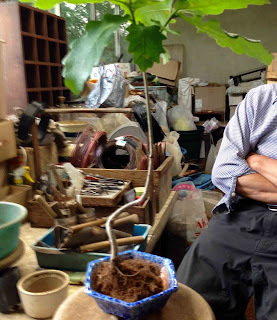 Last may, I potted a young oak tree into a Shuuhou (Hidemi Kataoka) pot to display it in his private exhibition. I will show you the process from the beginning to the end. 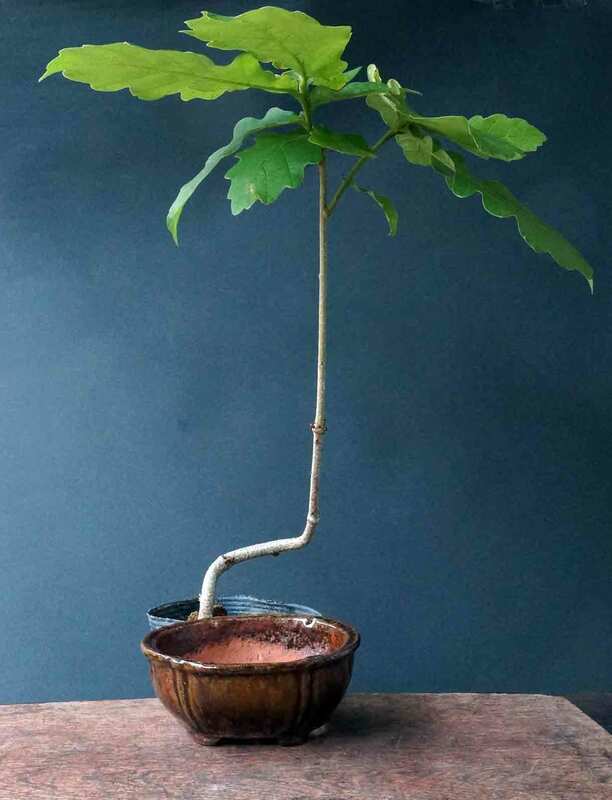 This is just a young oak tree. 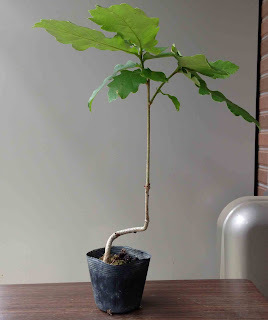 I got it from the nursery. 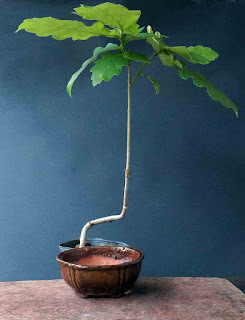 I love it because the shape of leaves are nice and the form of its twisted trunk is interesting. 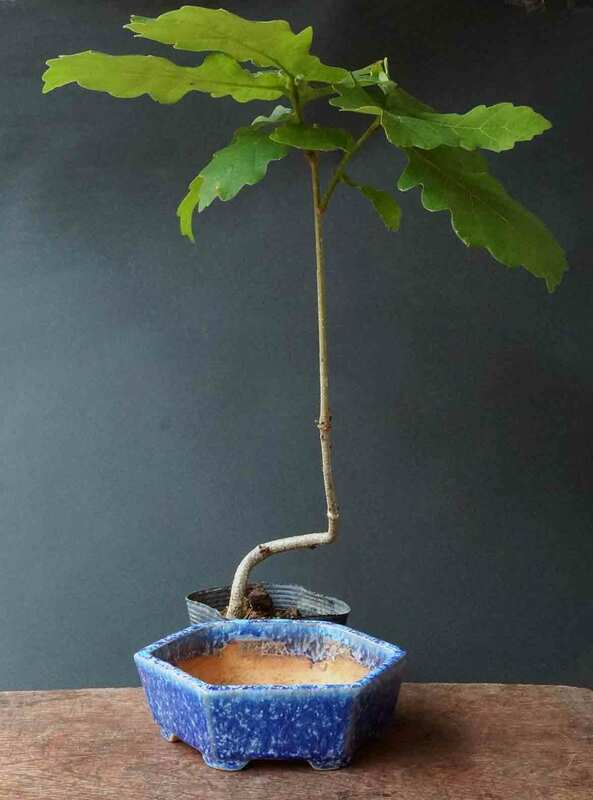 How about this blue pot? The color of blue glaze goes well with the green leaves. 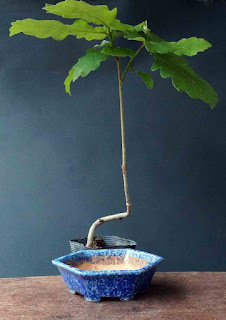 And I think the feet shape of this pot makes the tree nicely. 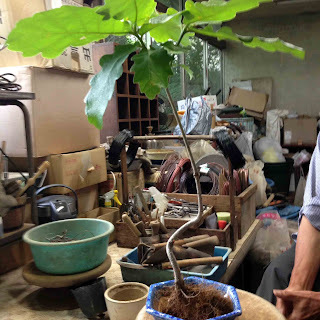 How about this Mokkou shape bonsai pot? I think it's good too. Let's take a look more. 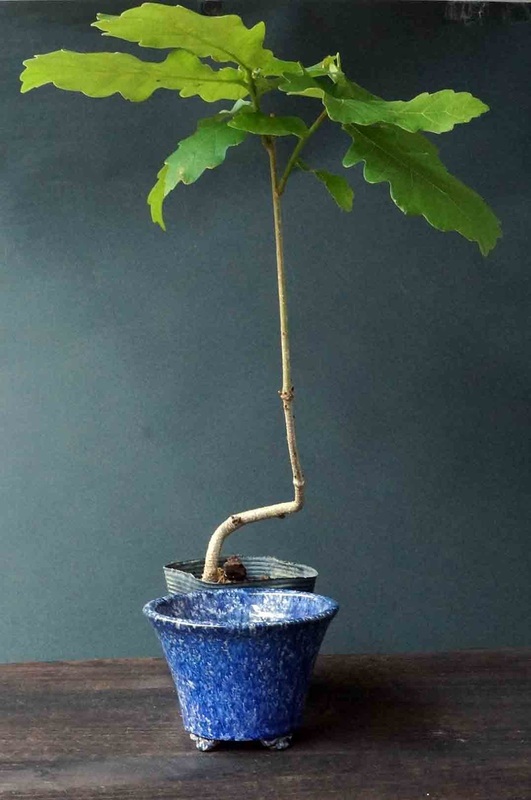 How do you think of this blue round pot? The blue glaze looks beautiful with the green. But does it look too high for the tree? How about this pot? It would be not shallow. 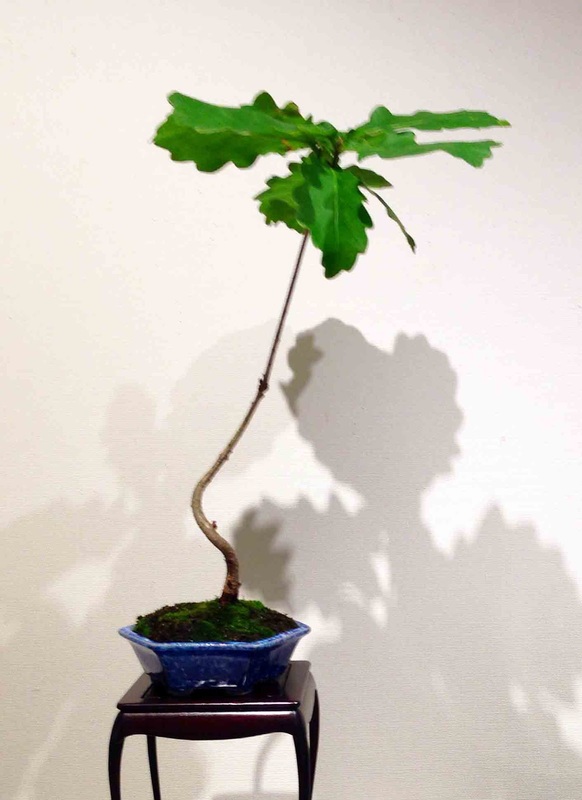 I think it is perfect for the oak! 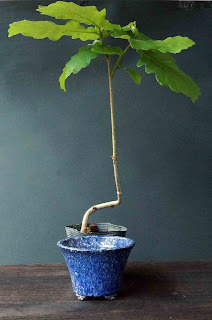 How about this hexagonal pot? Not bad but I think it is too large for the tree. Finally I chose this blue hexagonal pot. 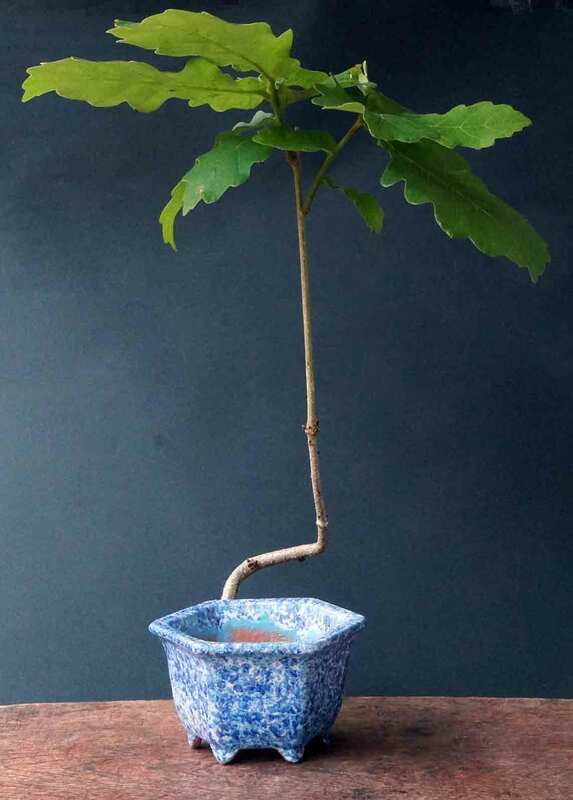 Because I can imagine the scenery with this pot. 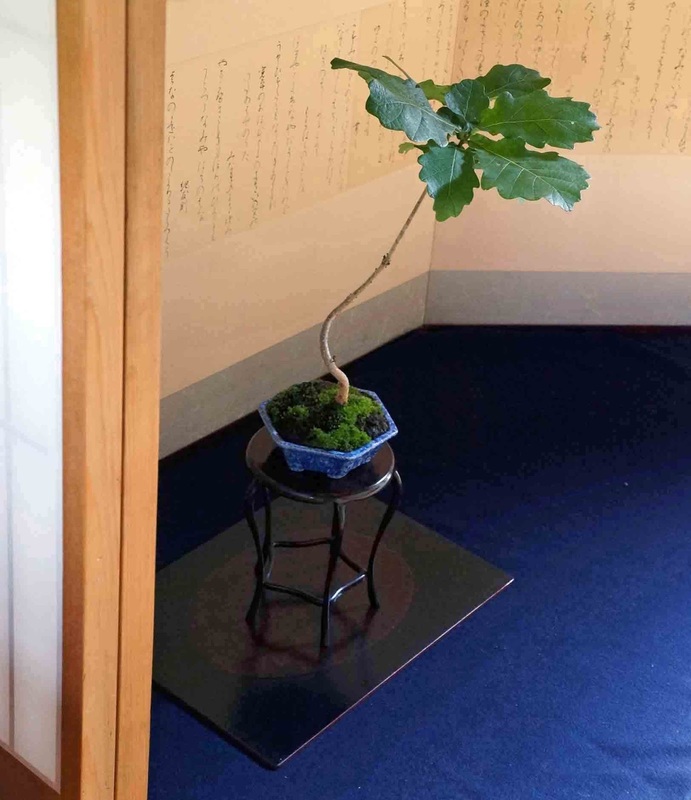 Now I made mi mind to pot the young oak into the blue hexagonal pot. 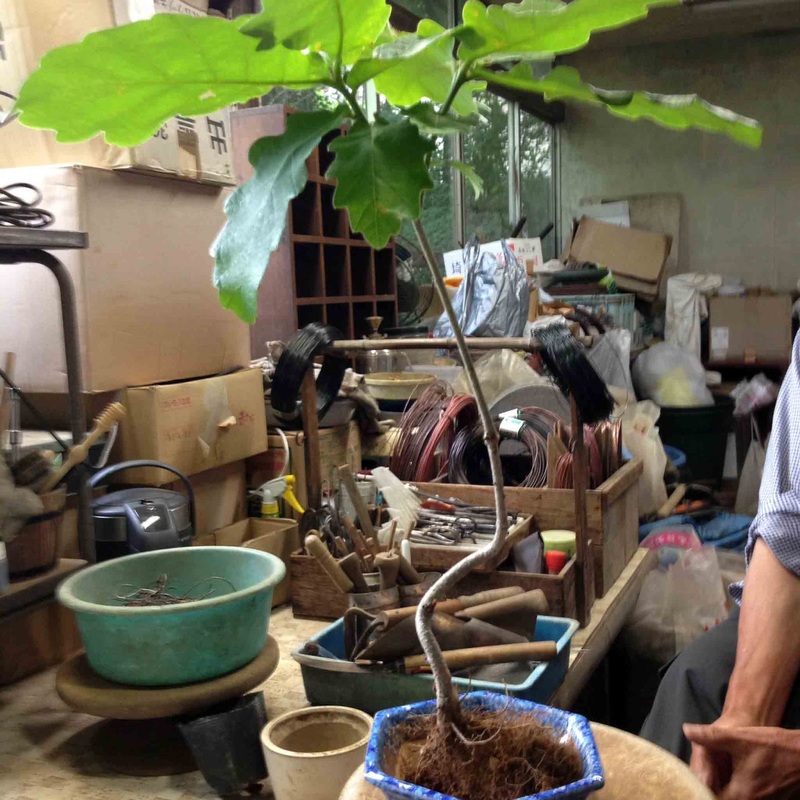 My bonsai Sensei (master) says. "Did you find the best direction？"
"Is it really OK? " "Are you sure about this? " "Do you think it is the best position in the pot?" "Are you satisfied 100% with this?" "Make an effort to find the most fantastic position again and again." And it turned like these. Do you like it? Thank you very much for seeing this blog post untill the end. All pots I show on this blog post are made by the Tokoname potter Shuuhou. They are available in my. YUKIMONO store.